I have purchased many bottle of this cleanser in the past and it was a real nostalgic hit to see this again. This cleanser has a lovely medium consistency and is pale green in colour with a gorgeous refreshing cucumber scent. It contains soya oil and Cucumis Sativus Juice which is a natural derivative from cucumbers which functions a skin conditioning agent. It cools, soothes and attracts moisture to hydrate the skin. You only need a small amount for a full facial cleanse and immediately it refreshes and soothes the skin. It effectively removes makeup, dirt and excess grease and after removal you skin feels soft, supple and refreshed. This is a lovely range to use in the warmer months and I never suffered any breakouts or reactions to this cleanser. 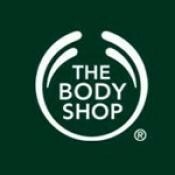 If you are sensitive to highly fragranced or heavy cleansers this is an excellent alternative from The Body Shop! 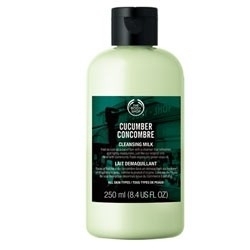 I bought this for my partner as she loves anything cucumber and when she suffers from dry skin, she finds using this cleanser helps to get some hydration back into her skin. Cleanses really well pulling out all impurities and leaves skin soft, clean and revitalised. Great for summer as it is really cooling and has a great cucumber scent. "I have purchased many bottle of this cleanser in the past and it was a real nostalgic hit to see this again. This cleanser has..."